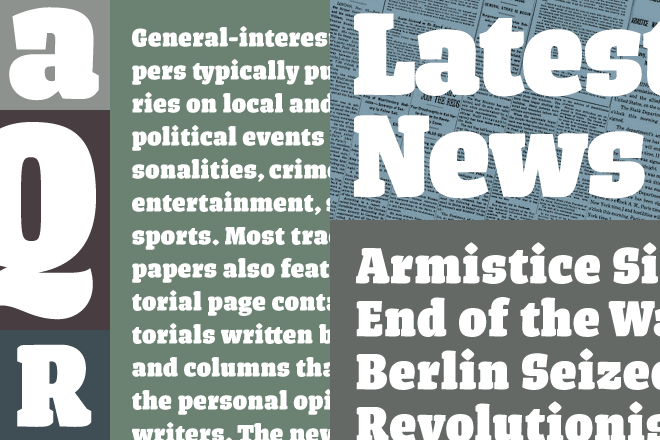 Frido Narrow is a friendly, warm slab serif tightly spaced for headline use. 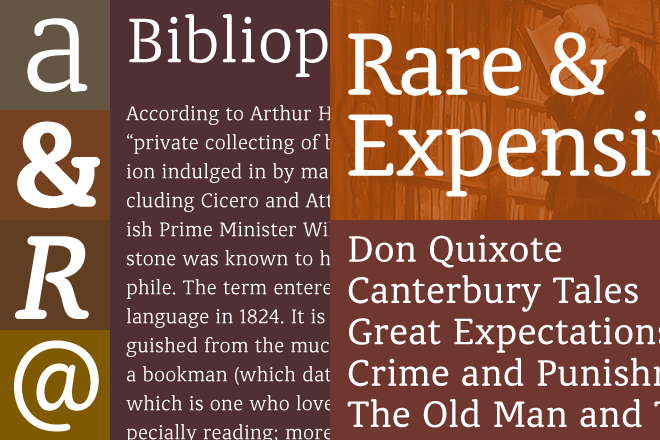 Classic Round is a friendly, versatile slab serif font with a generous x-height. Seven weights with italics gives you flexibility in any project. Medium weight is FREE! 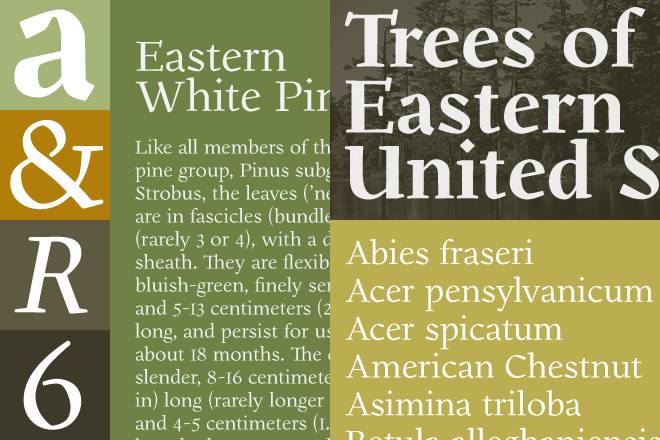 Gilman is a serif family with a very lyrical, hand-crafted quality. Designed to exude a human touch, Gilman is useful for getting a unique old-style feeling for your project. Some font glyphs are nearly impossible to insert in text. Copypastecharacter.com allows you to select the glyph you want and it will copy it to your clipboard for easy pasting. Letterheady is an archive of stationery used by interesting people throughout history. Collection includes Adolf Hitler, Albert Einstein, Bill Watterson and many more. Fontspring is proud to sponsor this year's TypeCon held in New Orleans. We look forward to meeting you there. We love your comments and weclome them at any time at news@fontspring.com.